It's not much to look at, but if you consider that it's real world performance is something like a 300MHz Pentium 2, but with graphics capabilities of an Xbox then you've got to admit it's pretty impressive. It's "party piece" is that it is capable of full HD digital video and audio output via HDMI thanks to the powerful onboard graphics processing unit (GPU). 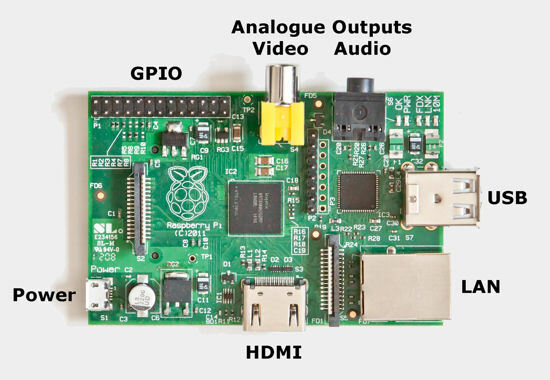 The Raspberry Pi is available from Cut Price Cables for only £39.99 including VAT and free UK delivery. It comes with little in the way of documentation, but I will be covering basic setup in future posts. However here is a Quick Start Guide to get you going in the meantime.